Join a community of creators that are knowledgeable, daring, and passionate. Whether you’re an established artist, an experienced designer, or just here to learn a new skill; we have exactly what you need to push your practice to the next level. the ability to submit files to the rapid prototyping lab. Art Aggregate has private studios for the maker who needs somewhere they can call their home base. 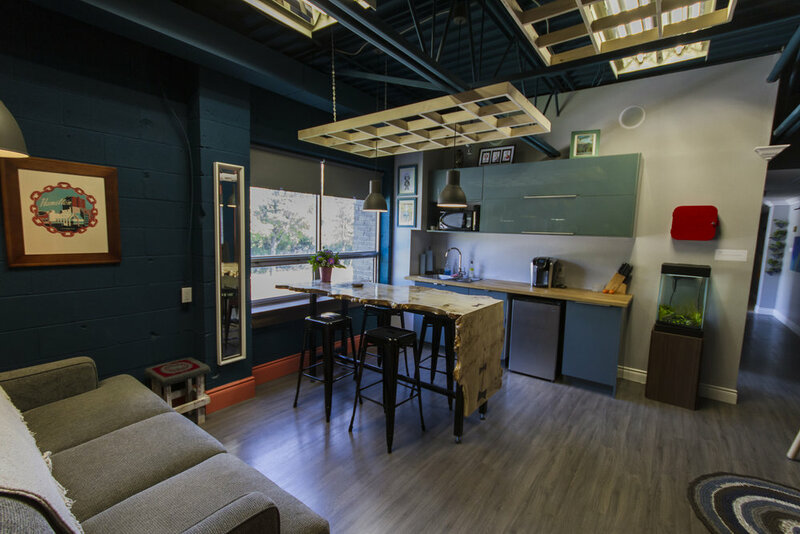 At over 120 sq/ft each, these well lit studios are the perfect home for your growing practice. All have key card access to the upstairs space at Art Aggregate, include a workshop membership and Wifi. Take a coffee break, meet with a friend, or enjoy a change of scenery. The Lounge space at Art Aggregate is cozy and welcoming. Great for smaller meetings and a fantastic entrance to events.